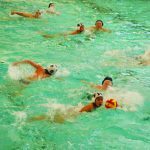 The Rockford High School Interact Club is a service club focused on community service and solving the world water crisis. Clara Cookies is a Rockford small business that focuses on raising money for adoption of special needs orphans around the world. Together, they have made a great partnership and are fundraising together. 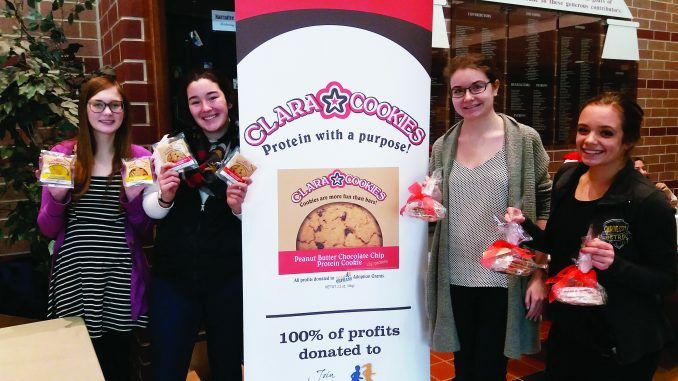 For three weeks during the lunch hours, RHS Interact Club sold Clara Cookies to students going to and from lunch, telling them about the high protein, healthy snacks. Clara Cookies is a 100% volunteer company that donates 100% of it’s profits to adoption grants for special needs orphans through Bethany Christian Services. They make their profit when they sell the cookies to stores at wholesale price. Then local stores make a profit when they mark up the cookies to the retail price. The Interact Club received the profit that the stores usually receive, $344, without taking away from the adoption fundraising. But the Interact Club does more that just sell cookies. 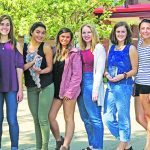 The students tutor at several elementary schools, run four blood drives per year, raise money to drill water wells in Nigeria, and support water and sanitation projects in the Dominican Republic. 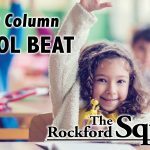 The club is made up of RHS students, teachers, and an advisor from the Rockford Rotary Club. So far this school year, the students have raised enough money to provide scholarships for students at RHS and in the Dominican Republic. 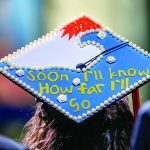 They have also raised over $7,000 to drill a water well in Nigeria in memory of Tessa Powers, an RHS graduate and former Interact board member who passed away unexpectedly this Fall. These amazing Rockford students are proudly carrying out the Interact motto: Service above Self. 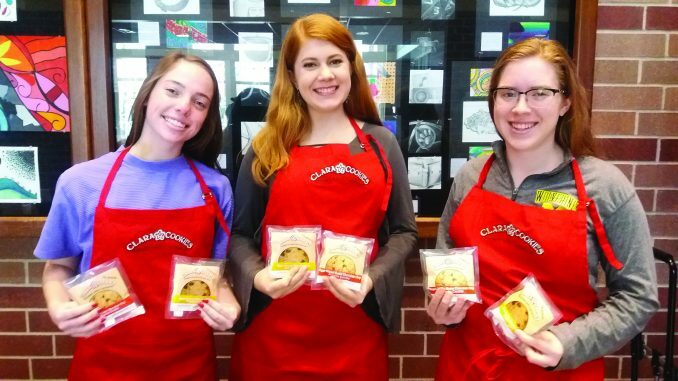 For more information on Clara Cookie fundraising or Interact Club projects email rebecca@claracookies.com or kgardner@rockfordschools.org.